Top 10 Best Android Emulators for Windows PC in 2019! 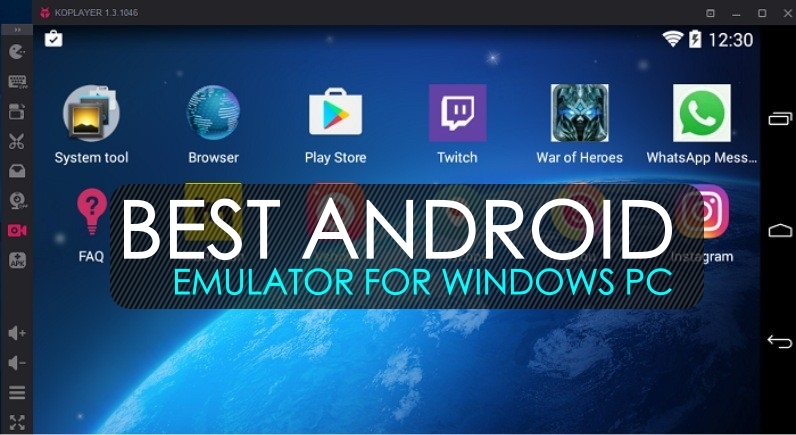 In this article you will find a list of the best Android emulators for Windows PC, and that you can use in this 2019. An Android emulator will allow you to download and install apps on your PC, and thus turn your Windows into a perfect PC. So from now, you can use Android on your PC, with any of the emulators you’ll find in this article. What is an Android emulator and what is it for? An Android emulator will allow you to use Google Play apps on your PC, in any version of Windows. In this way, you will convert your computer into a mobile device where you can enjoy millions of video games, as well as apps of all types and colors. Spend less time looking at your Smartphone will thank your neck, and the best way to spend a fun time with your favourite apps is looking at a screen that is at eye level. How to use a simple Android emulator for PC? Download the executable file of the emulator to your hard drive. Create a Google Play account to start using apps. Download and install your favourite apps and start using them. What is the best Android emulator for Windows PC? Let’s see a list of the best Android emulators for Windows 10 PC. You can download the Android version 9.0 Pie and convert your PC into an Android emulator. Its installation is not simple and requires some knowledge. Set timers to make a balanced use of your apps. Perhaps one of the best Android emulators for PC, tremendously easy to install and to start using and downloading apps, you only need to create a google play account. Power all your games with Android N (7.1.2) on your PC. Transform the Android emulator into an Android gaming platform. More than 300 million users. Earn money with content creation. The only downside is that you have to install a number of apps to be able to use it for free. MEmu is an Android emulator for PC specialized in video games, thanks to which we can enjoy any of the many exclusive titles for mobile phones or tablets, directly from our computer. No problems when configuring the controls. All oriented to install and play. Installation of Android video games in a simple way. Genymotion is a complete and easy-to-use Android emulator for Windows that is very powerful, especially for the common user, without complications of use or handling. You can emulate a dozen Android devices. It includes advanced features aimed at developers and expert users. This is one of the best emulators we can find. Nox is one of the best Android emulators to play your favourite games on the PC. Fast and fluid to play your favourite games. Compatible with games and apps, including the newest and most popular games. Compatible with a keyboard, gamepad, screen capture and other actions. ARChon, the magic ingredient that allows you to run Android applications on Windows, Mac and Linux. 100% functional with Linux and Mac. Compatible with Chrome 32 bits and 64 bits. KoPlayer is a powerful Android emulator, thanks to which we can enjoy all the applications and video games of the preferred operating system of tablets and mobile phones, directly from our PC. And we can do it with a frankly surprising fluency and stability. It does not require a configuration. Once installed you can download and install apps. The emulator comes with Google Play installed. Many possibilities when configuring controls. Andy is an Android emulator that will allow us to download, install and use hundreds of thousands of Android exclusive applications on our Windows operating system PC. It is, therefore, an outstanding Windows emulator with many improvements compared to Bluestacks. You do not need to create a virtual machine. No need to perform a complex configuration. You can enjoy all Google Play games and apps. Droid4X is one of the classic Android emulators for PC. It has a simple design but it is also extremely easy to start using. Of course, notice that the latest version is 2016, so it is a bit obsolete and outdated. This classic Android emulator for PC is also available for Mac. Virtual Box is an open source software that allows you to install different operating systems to your PC. You can easily download the iso image from the official Android blog. Once you have downloaded the image of Android you can install it virtually on your PC. This option is more complex than the previous ones because it allows us to install the Android operating system for PC. In the article, we have seen and analyzed different Android emulators for PC, mainly for Windows 10, although many of them are also compatible with Mac and Linux. Thanks to these programs you can enjoy Android for PC and thus be able to play your favourite games on your own computer and so, believe me when I tell you, you will appreciate your neck and back, since you will avoid having your head always crouched. I recommend that you start by testing for that Android emulator that is easier to install and start using, and how everything makes moderate use of these apps, whether games or any other program. You can now download your favourite Android emulator for PC, and start enjoying your favourite apps on your computer. Would you like to add any more Android emulator to the list? Write them in the comment box below and we will add them in the next article update. We have recently tested the new Android 9.0 (Pie) and finally, we can give our final judgment. What is new, and are the improvements really worth the wait? Read it in this comprehensive review below. Every year Google comes with a new Android version and this time it is version 9.0 (Pie). The final was – despite there being several Developer Previews – released quite suddenly and with little fanfare and is available for Googles own Pixel devices. For Nexus users, however, there is bad news: the 5X and 6P do not receive the update at all, even though they are not yet three years old. 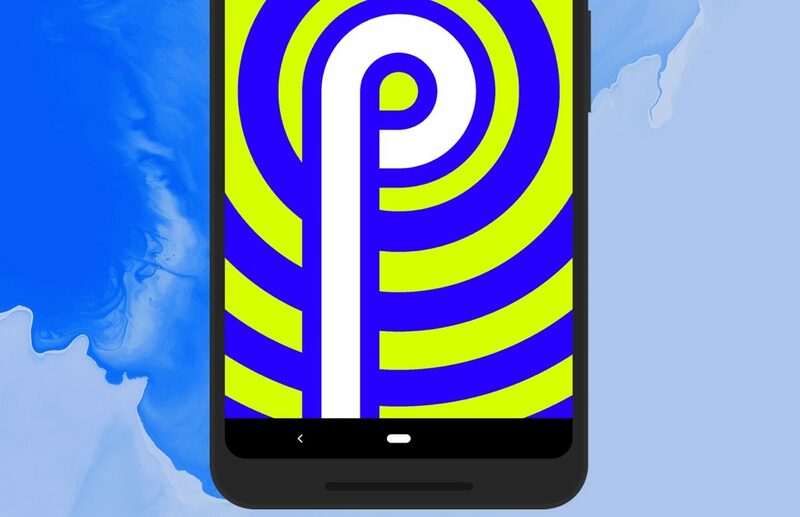 When Android Pie was announced at Google I/O 2018, the improvements did not sound hugely exciting or far-reaching. Now that we have Pie running on the Google Pixel 2 XL for several months, we have to turn that opinion back. There is more than enough to get excited about in Pie, and maybe even the coolest Android update in years. This is partly due to the visual adjustments that Google has made to Android. The operating system is now more in line with the Material Theme, the spiritual successor to the Material Design that was introduced with Android 5.0 (Lollipop). 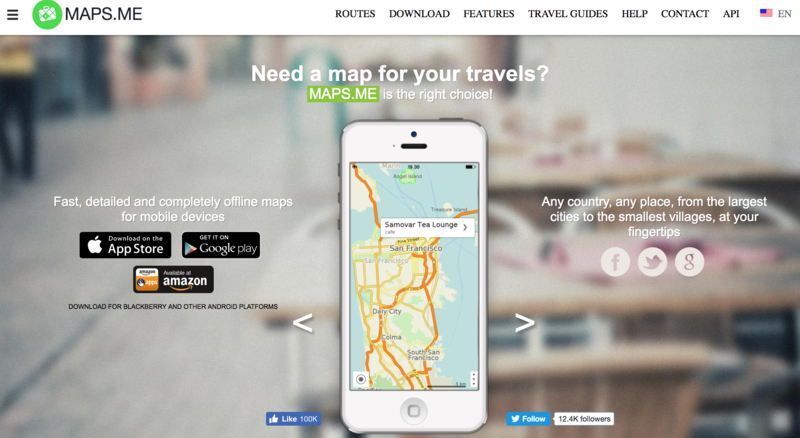 The interface and all elements, menus and animations are more playful and more rounded. You see that for example in the quick settings panel, which now consists of a white (or black flat) with round buttons and simple icons. It is somewhat clearer than the fast settings panel of Android 8.0 (Oreo), but unfortunately, some useful options have also disappeared. For example, in Android Oreo, it is possible to change the Wi-Fi network within the settings screen, or quickly connect to another Bluetooth device. In Android Pie, you have to hold down the relevant button in the settings panel, just like with older Android versions, after which you are sent to the Settings app. It may sound like something small, but if you change connections regularly, it is annoying that you have to take an extra step continuously. Also in the settings app, you see the new appearance of Android Pie back. Where the app was primarily black and white, the various components are now indicated with colourful icons. This looks a bit like the skin that Samsung puts on Android, though that is not necessarily negative. The colours make it easier to distinguish the different options from each other. Incidentally, the appearance of Android 9.0 (Pie) will obviously not be the same on all devices. Manufacturers make adjustments to the software and for example Samsung, Huawei and LG go quite far with that. Devices from Nokia, Sony and Motorola, which have (virtually) stock-Android, get Google’s standard design from Pie. Perhaps the most dramatic and interesting change in Android 9.0 is the new operation. The traditional navigation buttons (back, home and multitasking) are replaced by gestures or swipe movements across the screen. You might know this from Apple’s iPhone X, although it works a bit differently in Android Pie. The three navigation buttons disappear and are replaced by a single button, which looks a bit like a pill. You use that to open the app drawer, go to your recently opened apps and switch between your applications. The back button is not completely gone. Although it can no longer be found on your home screen, you can see it in almost all apps. So you can simply go back to a previous screen in WhatsApp, Facebook and other popular Android apps with the button. Swipe up from the button, then you see all your open apps side by side. There you can swipe through, or you swipe to the right on the arrow-shaped button. A bar appears, and with vibrations, you ‘feel’ that you switch between apps. It takes a little getting used to, but it works well. Are you multitasking and you have a lot of apps open, but it is more convenient to simply swipe over the applications? You then have a little more control and it is easier to quickly open the app you are looking for. The new gesture control is well thought out and in the meantime, we are used to it. You probably need a moment to master the operation completely. 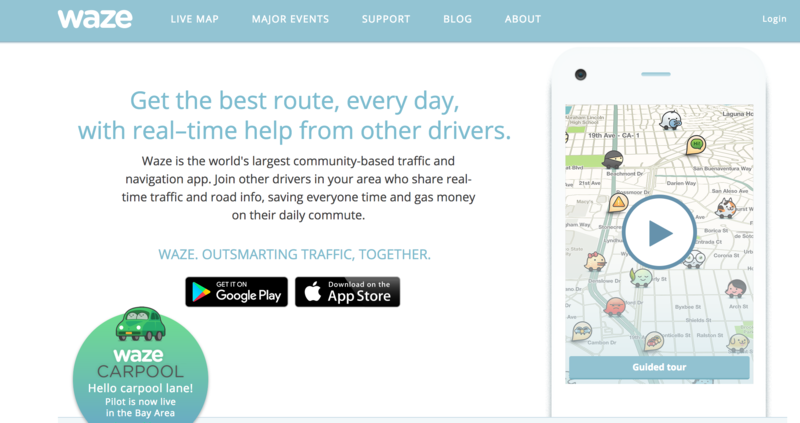 It is not necessarily faster than the traditional navigation buttons, but it frees up more screen space and looks more modern. The only thing that does not work so well is the complete opening of your app drawer. You should then raise from the bottom to halfway up your screen, and that is – certainly on large devices like the Google Pixel 2 XL and OnePlus 6 – a bit unnatural and illogical. Hopefully, Google will make improvements in future (smaller) Android updates. With Android Pie, Google also focuses on artificial intelligence, including App Actions. These are predictions of which apps you probably want to use, including shortcuts to apps, contacts or other actions. Pretty handy, because that way you can quickly jump to your favourite group conversation in WhatsApp and skip a few steps. However, that does not always work well. For example, it happens regularly that, a chat conversation in Telegram was shown that you had not been open for several days, and that is of little use to you. It works much better if, for example, you get a Spotify playlist at the end of the day when you cycle home. Or you see a shortcut to Slack during workdays, because you communicate a lot via that app. Android Pie also focuses on improving the battery life and does so with Adaptive Brightness and Adaptive Battery. The first function is a kind of extension of the automatic brightness mode on almost every smartphone. Depending on the lighting conditions, your smartphone adjusts the brightness of the screen, but often you do a (small) adjustment yourself. For example, maybe that you want the screen to be slightly less fierce in the dark, or that the brightness increases slightly further during the day. Android Pie learns this and automatically adjusts it over time, so you do not have to do it yourself. This works well, but logically it will take some time before Pie has understood your preferences. With Adaptive Battery, Android Pie looks at the apps you use very little and then makes sure that they use less energy. As a result, the battery is only used for applications that you actively use, and no power is lost. This can ensure that notifications from minor apps come in later, but this is not very disturbing. Does Adaptive Battery really deliver a (much) better battery life? The difference is still very small. On some days the battery of my Pixel 2 XL actually lasts a bit longer, but it is not a big improvement compared to Android Oreo. Usually, I noticed little to no difference in battery life. Google may be able to improve this feature in the future. A small, but the nice improvement has to do with the battery saving mode. When this feature was previously enabled, red bars appeared at the bottom and top of the screen, and the screen brightness was significantly lowered. The function now works more subtly and only shows with a suitable battery icon that it is switched on, just like iOS does for example. Another pillar of Android 9.0: smartphone addiction. Google also recognises this problem and therefore has processed the ‘Digital Wellbeing’ component in Pie. This is not a separate app, but a part in the setting of your device, although you must first register for the beta at the time of writing. The central point of Digital Wellbeing is the dashboard. In order to tackle an addiction, you first need to know how you stand for it. The dashboard shows at app level how much time you spend a day with your smartphone. You can also see how many times you have unlocked your phone, and how many notifications come in. As soon as you tap on an app from the circle, you see the use of last week per day. This allows you to easily and quickly recognize peak moments. You can also filter the number of received notifications and you have opened the app. When you are ready to change course, it is time to set alarms. Do you want to spend less time on Instagram and WhatsApp, for example? Then set a timer that indicates the use of these apps. You receive a warning just before your time is up, and when the alarm goes off, the app automatically closes. A notification explains that you have gone over your daily time limit and therefore can not start the application. The icon of the relevant app will turn grey and if you try to open it, it will be explained that you have no time left. A pretty rigorous measure, but you can give yourself more minutes by setting the timer differently. Getting rid of your smartphone addiction is done by setting alarms on app level: a smart move from Google. This allows you to keep using your smartphone in an emergency where you have to call, for example. Wind Down ensures that you do not take your smartphone to bed (or less often). Is it time to go to sleep? Then the screen of your smartphone turns grey. This makes it less tempting to grab your phone since all the colours are gone. Apps eyes dull and your brain is not kept awake by all kinds of colours and effects. In the dashboard, you indicate what time you normally go to sleep, after which Wind Down is switched on. Then you indicate what time you normally wake up in the morning, and your screen shows colour again. But do all functions really help to use your smartphone less? Yes and no. On the one hand, the app timers and Wind Down really make you more inclined to put your phone aside, although it’s always easy to turn off the timer or Wind Down function. There are, however, some points for improvement, and these are mainly related to the damping of notifications. Many apps, such as Google Maps, can send you a variety of different notifications, but the Dashboard does not show which ones. It is then difficult to determine which notifications are most distracting to you so that publishing notifications quickly becomes a gamble. Google has some time to improve this because Digital Wellbeing is officially released later this year. With every major Android update, the question is when it comes to which smartphones. The fragmentation of Android has been a big problem for years, but Google is working hard to improve it. So last year with Android Oreo the so-called ‘ Project Treble ‘ was introduced, which makes it easier for manufacturers to update their smartphones. In addition, you are of course very dependent on the manufacturer of your device. Manufacturers like Nokia and Sony are usually quick with updates, Lenovo and LG, for example, are not at all. It is just how important the manufacturer finds the updating and how much time is needed. Moreover, with a high-end Android device, you are more often assured of quick updates than with a cheaper model, but there are also exceptions here. The good news is that Android Pie has been running on non-Google devices since the release of the first beta. For smartphones like the OnePlus 6, Nokia 7 Plus and Sony Xperia XZ2 a test version has been available for a while, so the manufacturers concerned have been running the software for a while. This is the first time and should ensure that Android Pie also appears faster. In our Android 9.0 update overview, we keep you informed of the update plans of the various Android manufacturers. With Android 9.0 (Pie) Google shows where the mobile operating system is going in the coming years. The focus is more on artificial intelligence than ever before, of which a number of practical examples are visible in Pie. It is logical that Google will build on this with upcoming Android versions and make the operating system ever smarter, by continuously learning from you as a smartphone user. In addition, Android Pie is a bit simpler and more user-friendly than its predecessor. You can see this, for example, with the gesture control with one button, clearer settings and larger buttons in the quick settings panel. Most improvements make Android really nice to use and Pie is always smarter after completion, without being bothered as a user. There are still points to clear for improvement, but with Pie Google again makes a nice, helpful update. If you are using this new Google pie update, share your experiences in the below comment box. If you have any other queries let us know them in the comment section below and we will get back to you to solve all your queries as soon as possible. A study shows what users are the main reasons for switching from Android to iOS and vice versa. Have you ever switched over? 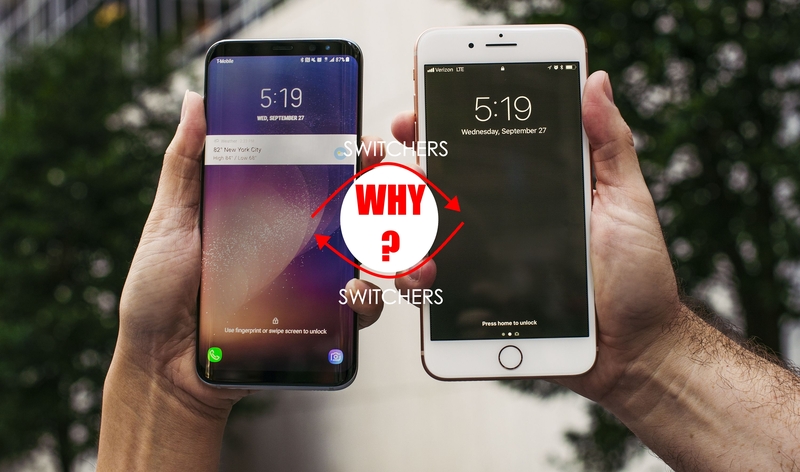 If you want to switch from Android to iPhone, you can have many reasons for that. The PCMag website decided to investigate and asked 2500 Americans why they changed operating systems. The research only looked at Android and iOS, the two most used operating systems for smartphones. 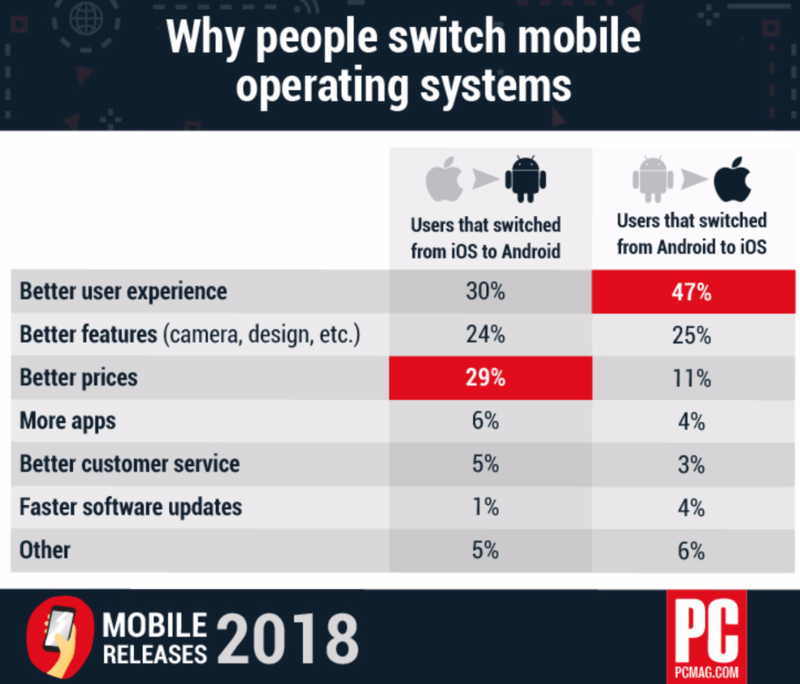 Approximately 29% of respondents switched operating systems, with the majority (18%) switching from Android to iOS. Cost and better user experience are important factors to switch, but there are other reasons that play a role. This is why people switch from Android to iOS. From the people who switched from Android to iOS, the better user experience proved to be the most important reason. As many as 47% of the switchers indicated this as the main reason. That is a lot higher than the other way around because 30% give this as a reason for the switchers from iOS to Android. Better functions such as camera and design are more or less the same in both groups: with switchers from Android to iOS this is 25%, while this is 24% on the other side. Not surprisingly, 29% of the switchers from iOS to Android indicate that the price is the main reason. The other way around, this only applies to 11%. But there are other factors that play a role, including the available apps and better customer service. Both reasons score higher among switchers from iOS to Android than vice versa. For 6% of these changes, a wider range of apps is an important reason, while the better customer service is stuck at 5%. For people who exchange Android for iOS, this is 4% and 3% respectively. A last important reason to switch operating system is faster software updates. It is no surprise that this is a much more important reason for people who exchange Android for iOS (4%) than the other way around (1%). The survey also asked respondents how often they replaced their phone for a new one. More than half (53%) indicated that they should only do this when the telephone fails. Most people do not take into account the arrival of, for example, a new iPhone. 56% of respondents do not care whether a new model is coming. Another important reason for getting a new device in-house is a contract that expires (34%). Have you recently switched from Android to iOS or are you planning to buy an Android phone or iPhone? What are the most important reasons for you? Let us know them in the below comments section.